A superior quality range of Explosive Chemical exists with us. We are prominently count amongst most reliable manufacturers and suppliers of Explosive Chemical Compounds for Explosive Industries. Most of the chief explosive industries are using our Explosive Chemical. 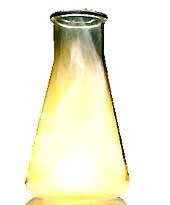 Sobitol Mono Oleate - Sobitol Mono Oleate are available with us on very genuine prices. Most of the chief explosive industries are using our chemical Sobitol Mono Oleate - Sobitol Mono Oleate are available with us on very genuine prices.